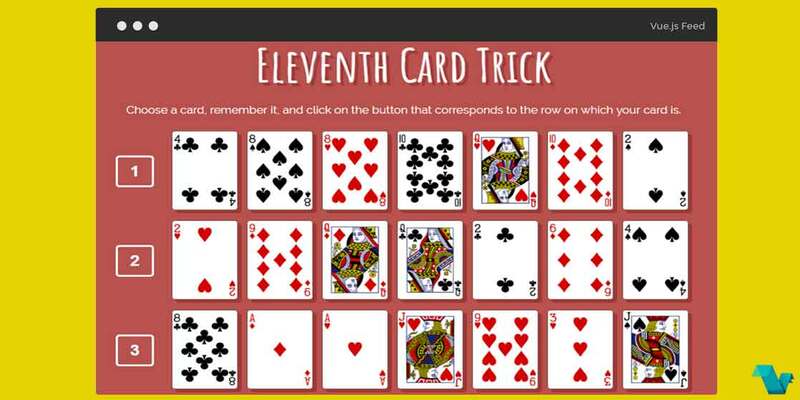 Try a simple card trick that can read your mind! This app was developed using Vue components & utilizing Vuex. 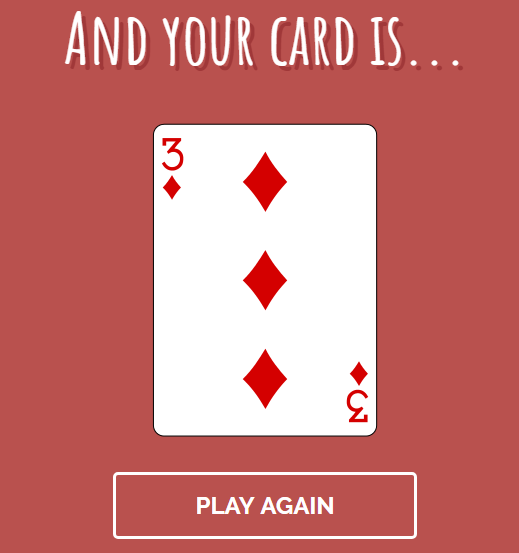 All you have to do, to play a trick on your self, is choose a card, remember it, and then click on the button that corresponds to the row on which your card is.